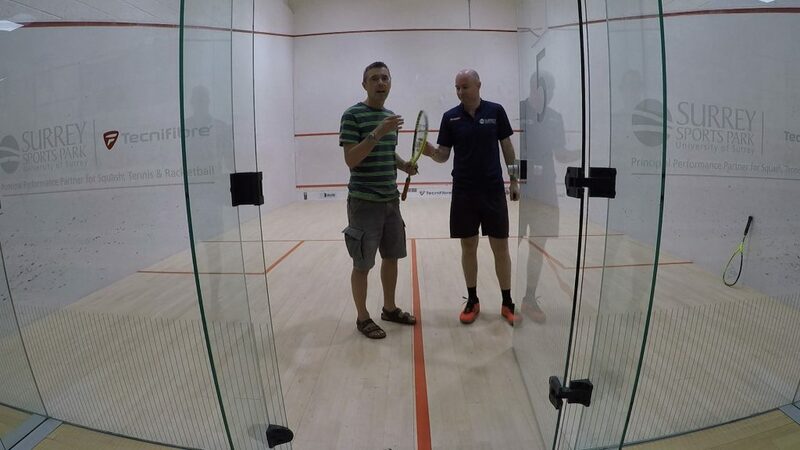 We’re in Guildford today with Jesse Engelbrecht of England Squash. We’re collecting sensor data from him as he does 20 shots of every type we can think of: length, cross, drop, boast, lob, kill, volley and so on, all done on forehand and backhand. That’s a lot of data! We’re looking to get data for the “perfect” example of each shot, so we can compare his data to our players!